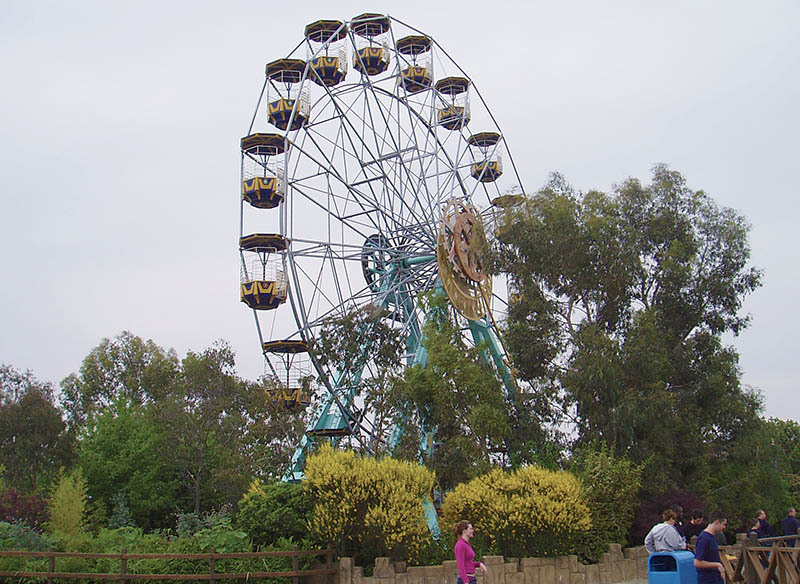 Eclipse was a large ferris wheel that sat in the Lost City area of Thorpe Park. It arrived at the park in 2003, along with Nemesis Inferno and Quantum in a somewhat bumper year for ride additions. The ride allowed guests to take a break and view the park from up high. However, at a time when the park was well into its transition into a thrill park, it didn’t really fit with the new target market. It never managed to attract a long queue, and guest feedback was largely negative. Ultimately, Eclipse only lasted two seasons before being moved to sister park Chessington World of Adventures to re-open as Peeking Heights.